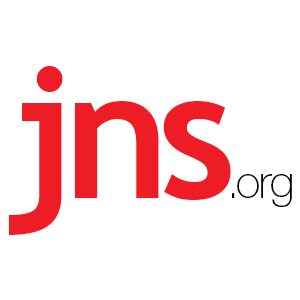 Denmark Announces Funding Cut To Anti-Israel Palestinian NGOs - Breaking Israel News | Latest News. Biblical Perspective. Denmark’s Foreign Ministry last Friday announced it would cut funding to a number of Palestinian NGOs and implement stricter conditions for them to receive Danish aid. Danish Foreign Minister Anders Samuelsen had been set to announce an additional $8.3 million in state funding for the Human Rights and International Humanitarian Law Secretariat, an organization that funds a string of anti-Israel groups. But the country launched a review of its funding criteria in May, after Israeli Prime Minister Benjamin Netanyahu urged Samuelsen to halt his country’s funding of radical Palestinian organizations. Following a comprehensive examination of the issue in recent months, the Danish Foreign Ministry announced it would toughen conditions for Palestinian NGOs to receive assistance. In a letter to the Danish Foreign Ministry, Israeli Strategic Affairs Minister Gilad Erdan had warned that according to the information available to his ministry, a hefty portion of funds allocated to the Ramallah-based secretariat were allocated to organizations with ties to terrorist organizations and groups that promote boycotts of Israel. In a statement noting that a majority of Danish aid has been withheld from the anti-Israel groups, Samuelsen said he attaches great importance to Denmark’s foreign funding reaching its intended destination. In recent years, the secretariat—a joint funding mechanism for Switzerland, the Netherlands, Sweden and Norway—has donated money to organizations with ties to the Popular Front for the Liberation of Palestine terror group, such as Al-Haq and Addameer. Erdan called Denmark’s move “a significant achievement” for Israel.